There are some things in life that go together just perfectly, and dining in a great restaurant which just happens to be on the river is one of them! Possibly one of the most stunning locations on the banks of the River Thames as it flows into the Marlow Weir, the Riverside Restaurant is perfect for any dining occasion, whatever the season, whatever the day. 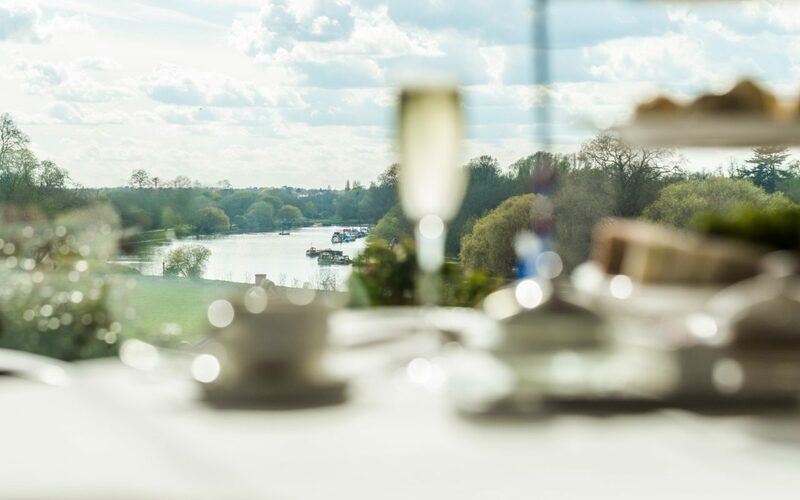 An extensive refurbishment was completed in 2015 and saw the restaurant gain a third AA Rosette for its varied British menu.Here you can enjoy dining in a relaxed but very stylish setting looking on to Marlow itself from the world-renowned Macdonald Compleat Angler Hotel. Member Club Offer: member dines complimentary when dining with one or more guests when having lunch Monday to Saturday and dinner Sunday to Friday. Click here for more details. Currently, at Cliveden, not only can you admire the river while dining in this exceptional restaurant but you can also enjoy a cruise on the river before hand! For just £25pp for up to four guests when booked in for lunch, members are invited to to join the shared Champagne cruise at 11.30am – the ultimate in riverside dining experiences! Member Club Offer: member dines complimentary when dining with one or more guests from the a la carte or tasting menu or a 10% reduction if dining from the market lunch menu when having lunch Monday to Thursday and dinner Sunday to Thursday. Click here for booking details. The view from the floor-to-ceiling windows in The Petersham Restaurant is something to be admired, so much so that it has been recognised as one of the top spots for riverside dining in the whole of London by The Telegraph Luxury magazine. As well as admiring the view, The Telegraph Luxury also recognised the cooking of Head Chef, Ade and his team, stating that it “is bang up to date”. Member Club Offer: members and their guests receive a complimentary glass of Champagne when having lunch or dinner Monday to Friday. Click here for details. 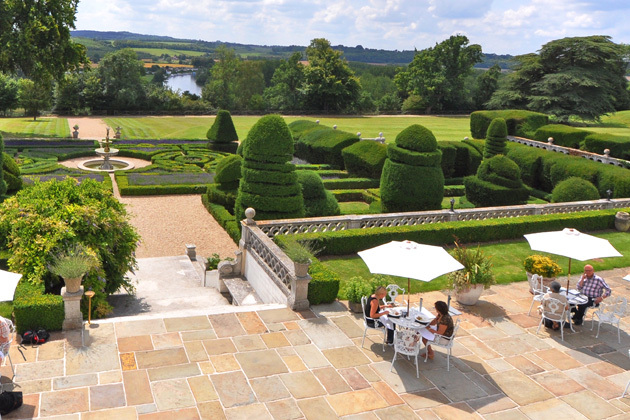 Although not literally on the banks of the river, nonetheless the view over the winding River Thames that you are treated to from Danesfields Terrace is breathtaking. Member Club Offer: member dines complimentary when dining with one or more guests when having lunch Monday to Friday or dinner Sunday to Friday. Please click here for details. The Chelsea Riverside Brasserie has the most enviable location within easy reach of central London. Overlooking the glittering Chelsea Harbour, the Brasserie benefits from a glass fronted bar which boasts a generous outside terrace – the perfect place for alfresco dining or to meet friends for drinks. Member Club Offer: members dine complimentary when dining in parties of four or more for lunch and dinner all week. Click here for booking details.